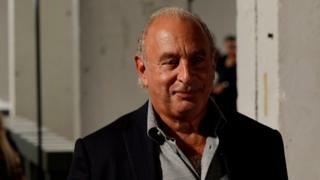 The former Northern Ireland secretary was the first to name Topshop owner Sir Philip, who had blocked the Daily Telegraph from naming him. Sir Philip's lawyers said Lord Hain had failed to declare his role as an adviser to law firm Ince Gordon Dadds. It acted for the Telegraph in the case. Sir Philip's lawyers, Schillings, also complained that Lord Hain's statement should be seen as providing a Parliamentary service for money. The House of Lords Standards Commissioner, Lucy Scott-Moncrieff, rejected that allegation. Ms Scott-Moncrieff said Lord Hain could not have declared any interest, as he was not aware of Ince Gordon Dadds' involvement in the Green case. She said: "It would be unreasonable to censure him for failing to declare an interest of which he was unaware." Schillings also said Lord Hain had broken the sub judice rules in an abuse of parliamentary privilege. She also said that the issues of sub judice and parliamentary privilege were not matters for her to judge. Earlier this year, Sir Philip dropped legal action against the Daily Telegraph, which prevented the newspaper publishing details of allegations of sexual harassment and racist behaviour. When the allegations first emerged, Sir Philip acknowledged there had "been some banter", but said it had "never been offensive". At the heart of the issue are non-disclosure agreements signed by five individuals.